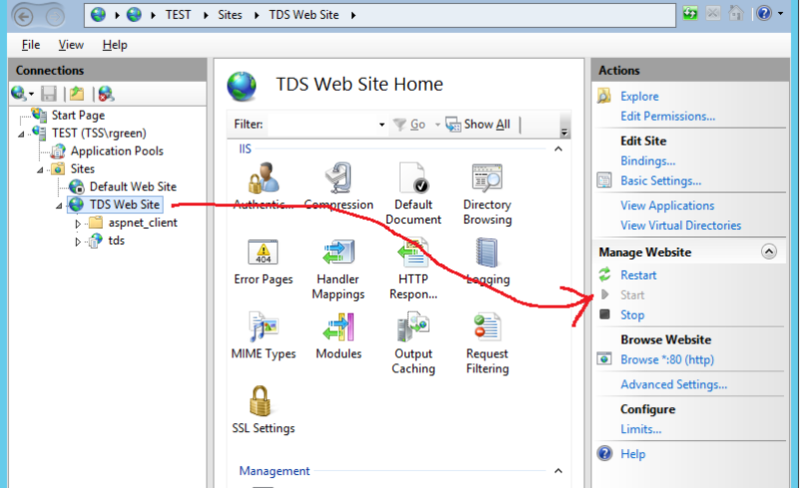 The steps below cover moving TDS from a standard "Default Web Site" IIS installation to a new non-default website in IIS. 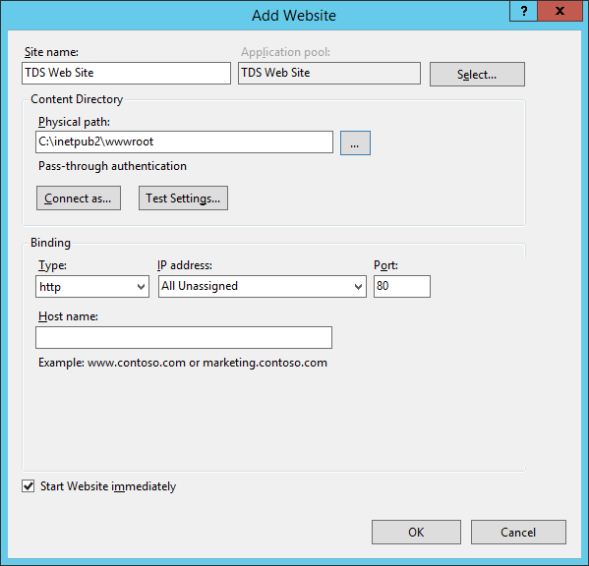 Create a new website in IIS if it does not already exist. Ensure that the site is running. Run the TDS Installer (for the latest TDS release). 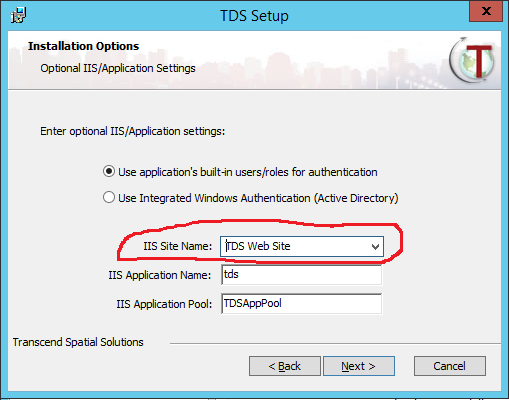 On the “Installation Options” wizard page, select the desired IIS Site Name. Run through the remainder of the installation wizard steps and complete the installation process. 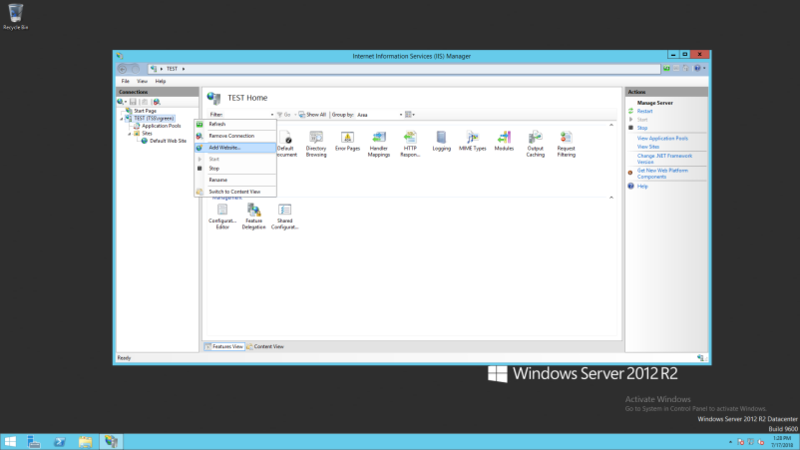 Once the installation is complete, the application should be installed within the selected IIS Site. View the applications listed under the selected “IIS Site Name” to verify. Install any remaining Transcend products on the server (example: Road Analyzer, Segment Analyzer, etc). Once the new website is installed correctly, import the exported seed file (from the previous website) to the new application which will restore TDS back to the previous site’s application configuration.